Remember when Daybreak Games announced that expansions would be a thing of the past and their development for the EverQuest free to play MMORPGs was going to be focused on smaller “campaigns?” Yeah, we remember that, too. Apparently, the development teams got a bit over anxious on campaign size though as Holly Longdale from Daybreak took to the forums today to announce that both EverQuest and EverQuest II will be getting expansions and the pre-orders will begin on October 1st of this year. 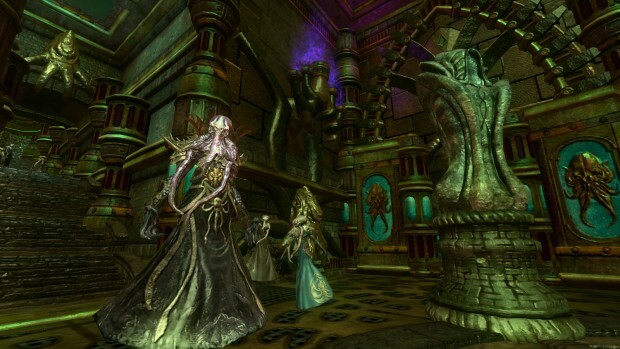 The original EverQuest will see a lot of “level agnostic” content where new raids, including some reworked older raids, will scale to the highest level in your party (provided your party is at least level 75) and new raids number in the teens. Based on previous expansion feedback, the increased number of raids being added should be welcome news. As with previous expansions, purchasing this new expansion unlocks all previous expansions. EverQuest will also get an update later this month that addresses buffs after death, pulling and aggro issues, and some load balancing fixes for the time locked progression servers. On the sequel side of business, EverQuest II is getting a similar “level agnostic” treatment for some of its new dungeons, having a “healthy” number of raids added, and quests added. A Livestream will be held around the October 1st pre-order date to reveal more about this 12th expansion. We’ll keep you posted as more details are revealed.